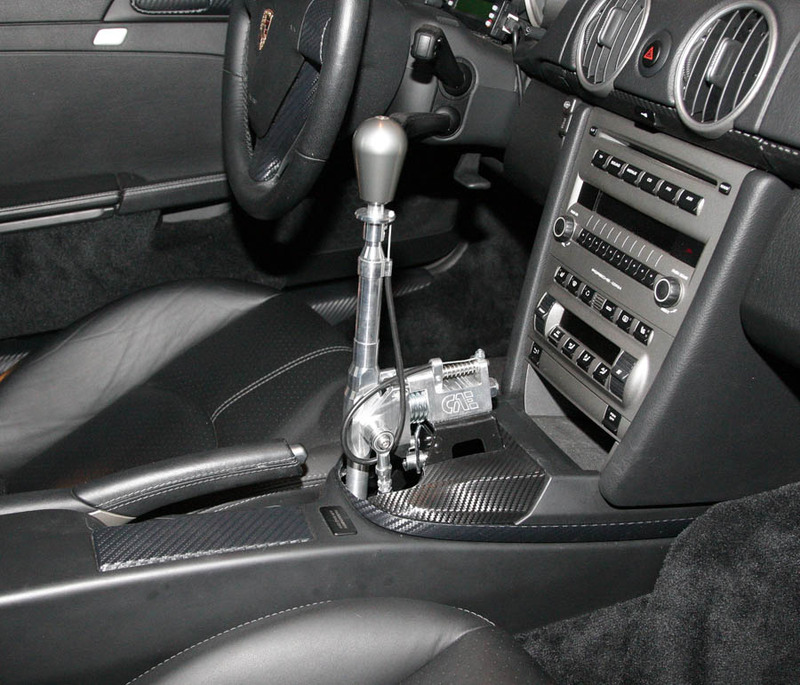 I owned, drove, enjoyed, then sold, this incredible and unique shifter in to fit all 987 Porsches. Came complete with shifter, two knobs (delrin shown above and Al shown below.) Also comes with reverse lockout cable, shown below, and 987 console surround (cut to fit shifter) with cover (custom fabricated) as shown above. Shifter is 1,070 Euro and the cover is 200 Euro from CAE website in Germany. 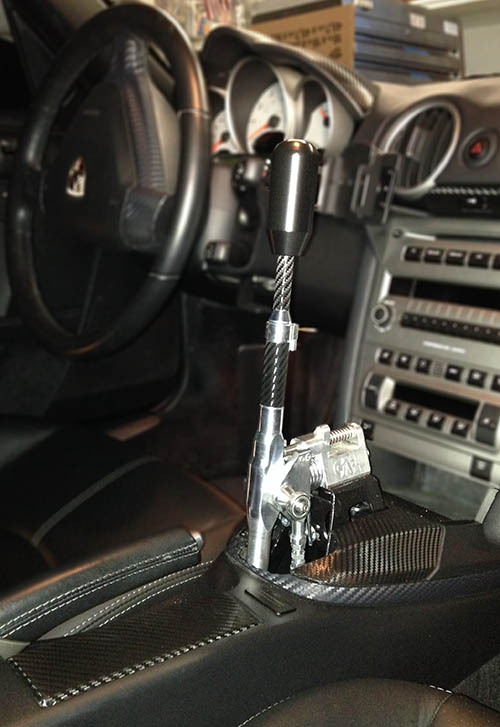 Shifter is higher and has shorter throws than any stock or aftermarket shifter. Mechanism is very tight and creates a positive and direct shift. No need for aftermarket cables. Shift is smooth and precise. Mechanical advantage makes shifting easier unlike many short shifters that become notchy.